When it comes to how the Earth was formed, forces that can only be described as fiery, chaotic, and indeed godlike, were involved. However, in the past few centuries, research and refinements made in what is today known as Earth Sciences have allowed scientists to assemble a more empirical and scientific understanding of how our world was formed. 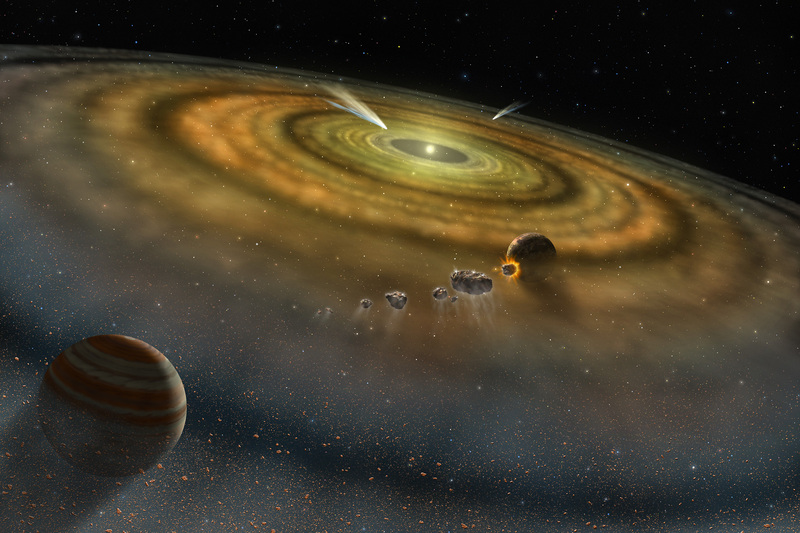 Based on the predominant model of Solar System formation, scientists assert that several billion years ago, our Solar System was nothing but a cloud of cold dust particles swirling through empty space. This cloud of gas and dust was disturbed, perhaps by the explosion of a nearby star (a supernova), and the cloud of gas and dust started to collapse as gravity pulled everything together, forming a solar nebula — a huge spinning disk. As it spun, the disk separated into rings and the furious motion made the particles white-hot. The center of the disk accreted to become the Sun, and the particles in the outer rings turned into large fiery balls of gas and molten-liquid that cooled and condensed to take on solid form. About 4.5 billion years ago, they began to turn into the planets that we know today as Earth, Mars, Venus, Mercury, and the outer planets. The first era in which the Earth existed is what is known as the Hadean Eon. This name comes from the Greek word “Hades” (underworld), which refers to the condition of the planet at the time. This consisted of the Earth’s surface being under a continuous bombardment by meteorites and intense volcanism, which is believed to have been severe due to the large heat flow and geothermal gradient dated to this era. Outgassing and volcanic activity produced the primordial atmosphere, and evidence exists that liquid water existed at this time, despite the conditions on the surface. Condensing water vapor, augmented by ice delivered by comets, accumulated in the atmosphere and cooled the molten exterior of the planet to form a solid crust and produced the oceans. It was also during this eon – roughly 4.48 billion years ago (or 70–110 million years after the start of the Solar System) – that the Earth’s only satellite, the Moon, was formed. The most common theory, known as the Giant Impact Hypothesis proposes that the Moon originated after a body the size of Mars (sometimes named Theia) struck the proto-Earth a glancing blow. The collision was enough to vaporize some of the Earth’s outer layers and melt both bodies, and a portion of the mantle material was ejected into orbit around the Earth. The ejecta in orbit around the Earth condensed, and under the influence of its own gravity, became a more spherical body: the Moon. The Hadean Eon ended roughly 3.8 billion years ago with the onset of the Archean age. Much like the Hadean, this eon takes it name from a ancient Greek word, which in this case means “beginning” or “origin.” This refers to the fact that it was during this period that the Earth had cooled significantly and life forms began to evolve. Most life forms today could not have survived in the Archean atmosphere, which lacked oxygen and an ozone layer. Nevertheless, it is widely understood that it was during this time that most primordial life began to take form, though some scientists argue that many lifeforms may have occurred even sooner during the late Hadean. At the beginning of this Eon, the mantle was much hotter than it is today, possibly as high as 1600 °C (2900 °F). As a result, the planet was much more geologically active, processes like convection and plate tectonics occurred much faster, and subduction zones were more common. Nevertheless, the presence of sedimentary rock date to this period indicates an abundance of rivers and oceans. The first larger pieces of continental crust are also dated to the late Hadean/early Achean Eons. What is left of these first small continents are called cratons, and these pieces of crust form the cores around which today’s continents grew. As the surface continually reshaped itself over the course of the ensuing eons, continents formed and broke up. Since that time, a mere blip on the geological time scale, all the events that we consider to be “recent history” took place. The dinosaurs ruled and then died, mammals achieved ascendancy, hominids began to slowly evolve into the species we know as homo sapiens, and civilization emerged. And it all began with a lot of dust, fire, and some serious impacts. From this, the Sun, Moon, Earth, and life as we know it were all created. 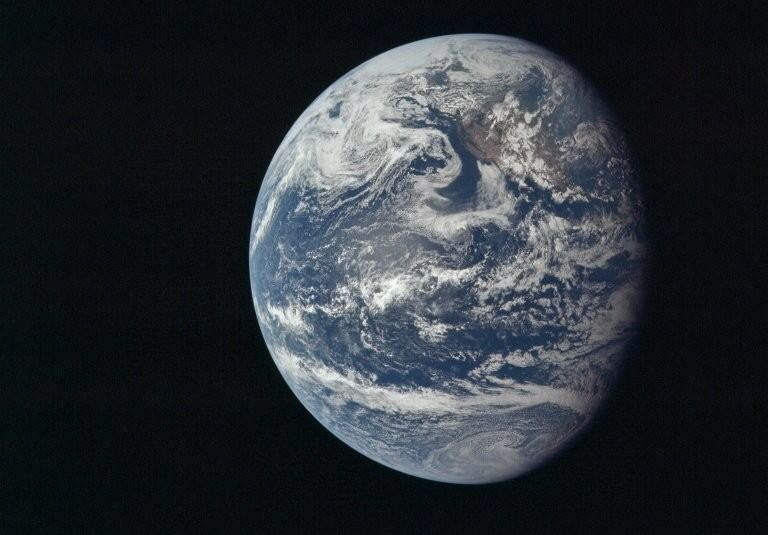 We have written many articles about the Earth for Universe Today. Here’s an article about the temperature of Earth, and here are some facts about the planet Earth. Further reading: Windows to the Universe, BBC. Previous PostPrevious Bizarre Mars: Did Lava Bubbles Wrinkle This Giant Circle?